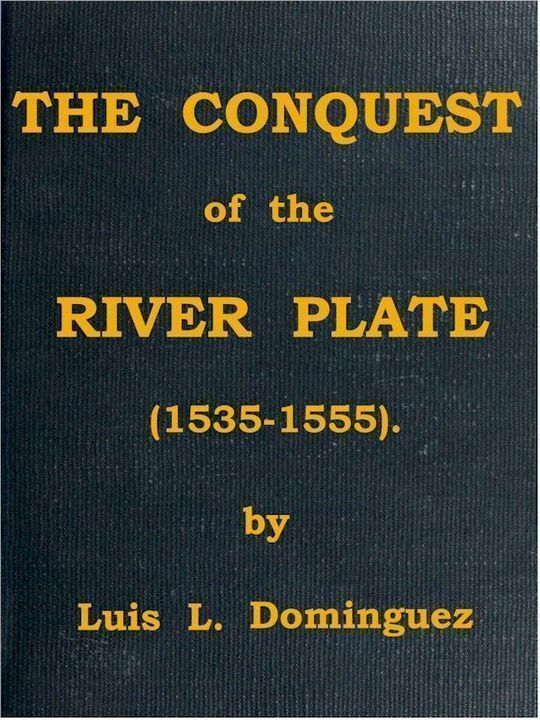 THE CONQUEST OF THE RIVER PLATE (1535-1555). II. ALVAR NUÑEZ CABEZA DE VACA. A true and agreeable description of some principal Indian lands and islands, which have not been recorded in former chronicles, but have now been first explored amid great danger during the voyage of Ulrich Schmidt of Straubing, and most carefully described by him. Commentaries of Alvar Nuñez Cabeza de Vaca, governor of the Rio de la Plata. Of the Commentaries of Alvar Nuñez Cabeza de Vaca. How we departed from the island of Cabo Verde. Which treats of how the governor arrived with his armada at the island of Santa Catalina, in Brazil, and disembarked his troops there. How nine Christians came to the island. How the governor hastened his journey. How the governor and his people advanced into the interior. Which treats of what happened to the governor and his people in his journey, and of the nature of the land. Of the troubles that the governor and his people underwent on their way, and of a kind of pine tree, and of the fruits of that land. How the governor and his people found themselves starving, and appeased their hunger with worms from reeds. Of the fear the Indians had of the horses. How the governor navigated the river Yguazú, in canoes, and how, in order to avoid a cataract of that river, he carried the canoes one league by hand. Which treats of the rafts that were made to carry the sick. How the governor arrived at the Ascension, where the Spaniards lived whom he had come to relieve. How the Spaniards, left behind through sickness, on the river Pequiry, arrived at the town of Ascension. How the governor, wishing to re-people Buenos Ayres, sent reinforcements to those who had come there in the ship ‘Capitana’. How the natives kill and eat their enemies. Of the peace which the governor concluded with the Indian Agazes. Of the complaints addressed to the governor by the pobladores against the officers of His Majesty. How the governor received complaints against the Indian Guaycurús. How the governor informed himself concerning the complaint. How the governor and his people crossed the river, and how two Christians were drowned. How the spies, by order of the governor, went in search of the Guaycurús. How the governor, pursuing the enemy, was informed that he was marching in front. Of a panic among the Spaniards and Indians, caused by a tiger. How the governor and his people overtook the enemy. How the governor pursued the enemy. How the governor and all his people returned to the town of Ascension. How the Indian Agazes broke the peace. How the governor set at liberty one of the captive Guaycurús, and sent him to summon his fellow tribesmen. How the Guaycurús came and submitted to His Majesty. How the governor, after making peace with the Guaycurús, delivered the prisoners to them. How the Apirús came and made a treaty of peace and submitted. Of the judgment passed on the Agazes by the advice of the monks, captains, and other officers of His Majesty. How the governor sent relief to Buenos Ayres. How the three Spaniards and the Indians returned from their reconnaissance. How wood was prepared for the construction of two brigantines and one caravel. How the Indians came again and offered their services. How the settlement of Ascension was burned. How Domingo de Irala arrived. What Gonzalo de Mendoza wrote. How the governor helped those who were with Gonzalo de Mendoza. How four Christians died of their wounds during this war. How the friars took to flight. How the governor took four hundred men with him on his voyage of discovery. How the governor left part of the provisions he had brought with him. How he stopped to speak with the natives of another port and land. How he sent for an interpreter to treat with the Payaguás. How the horses were embarked in the port. How Juan de Ayolas entered the port where he and his Christians were killed. How the interpreter and those who had promised to come failed to do so. How the Guaxarapos spoke with the governor. How the Indians come and establish themselves on the shore of the river. How they erected three crosses at the mouth of the river Yguatú. How the Indians of the port of Los Reyes cultivate the soil. How the Indians of Garcia settled in this place. How they spoke with the Chaneses. How the governor sent to find out the Indians of Garcia. How the governor held a council with his officers and informed them of what was passing. How the governor sent an expedition to the Xarayes. How the interpreters came back from the Xarayes. How the governor decided on entering the country. How the governor arrived at the Rio Caliente. How the governor sent to discover the house which was further on. How the interpreter returned from the Indian habitation. How the governor and his people returned to the Port of Los Reyes. How the Indians would have killed those who remained at the Port of Los Reyes. How the governor sent Captain Mendoza in search of provisions. How he sent a brigantine to discover the river of the Xarayes with Captain de Ribera. How Captain Francisco de Ribera returned from his exploration. How Captain Francisco de Ribera reported of his discovery. How the governor sent for Gonzalo de Mendoza. How Hernando de Ribera returned from his exploration along the river. What befell the governor and his people in the port of Los Reyes. How the governor, having arrived with his people at the town of Ascension, was made a prisoner. How the population assembled before the house of Domingo de Irala. Of the tumults and disturbances that took place in the country. How the governor was kept in prison. How the insurgents ravaged the land and took possession of the property of the inhabitants. How the monks left the country. How they tortured those who were not on their side. How they wished to kill a sheriff who had made them a requisition. How the insurgents gave the Indians permission to eat human flesh. How the insurgents had to write to His Majesty and send him a report. How they gave arsenic three times to the governor during the voyage. Narrative of Hernando de Ribera.